Excel Excavating, Incorporated – providing quality utility, site and concrete work to the municipal, commercial and private markets in Louisville, KY and Southern Indiana since 1997. 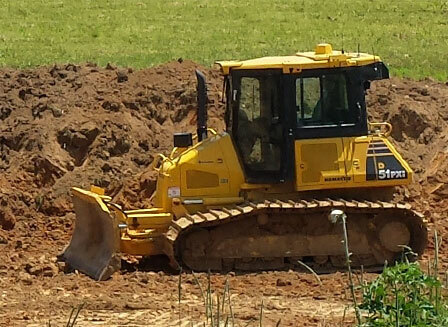 Excel Excavating, Incorporated's business began by installing water and sewer utilities in new subdivisions. Underground utility installations for developers opened the door for Excel to begin working for municipal and private water districts which led to opportunities with larger private projects. 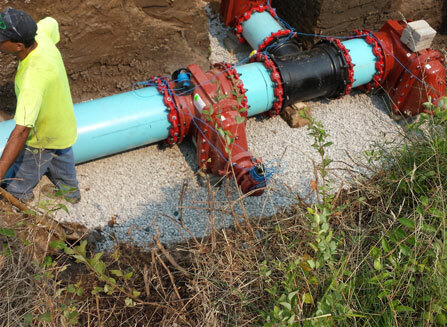 Excel performs installations of storm and sanitary sewer projects and water line projects. Excel Excavating, Inc. began doing more general earthwork as demand grew. With the same quality of service and attention to detail, Excel's dirt-moving capabilities grew along with their fleet of equipment to enabling us to perform a variety of grade and drain work as well as mass excavation projects. Excel uses GPS for project layouts and has GPS machine control on some equipment. Excel Excavating, Incorporated's concrete division has experienced rapid growth in the past few years, also. 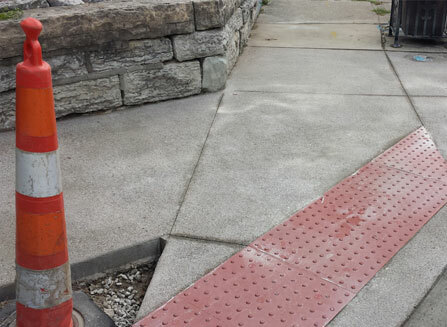 Our primary concrete services include sidewalks, curbs and approaches as well as handicap ramps. We are proud to include Louisville (KY) Metro Government, and the cities of Jeffersonville, IN and New Albany, IN as part of our customer base for concrete work. Excel Excavating, Incorporated's trucking division is available for hire. Our fleet includes tri-axles, single axles and tractors and low-boy trailers and staffed with CDL drivers. 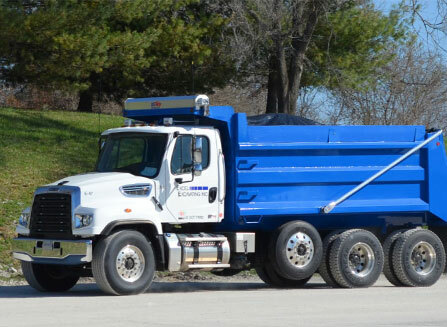 All of our fleet trucks and trailers are thoroughly inspected and meet and exceed InDOT standards to insure road worthiness. © Copyright 2015, Excel Excavating, Inc.